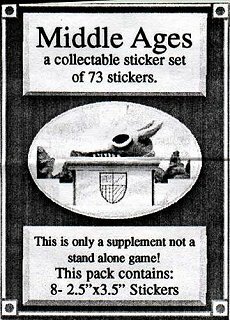 Middle Ages is a set of 75 Magic card stickers created in summer 1994 by Marauder Graphics run by Fred "Rich" Ditzler. 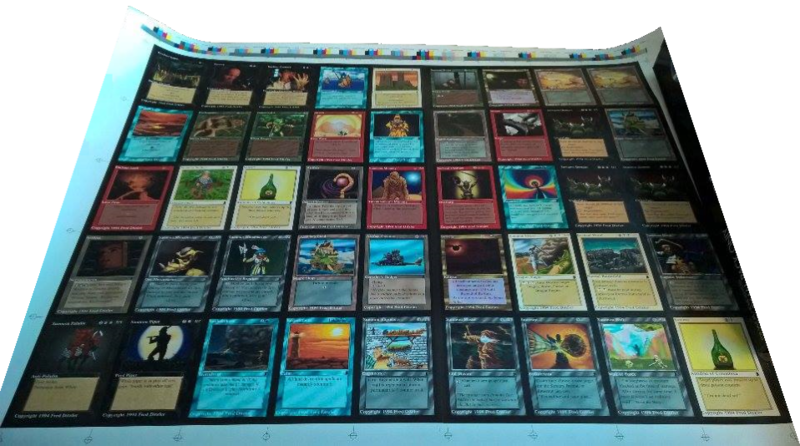 The stickers were designed to be stuck on the frontside of real Magic cards. 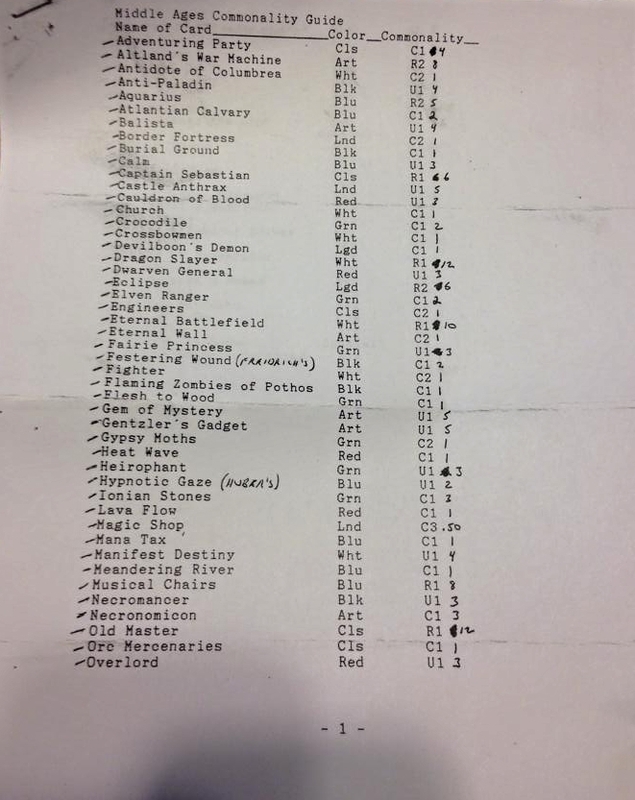 Apparently, the print run consisted of 1,000 sheets, for a total of 90,000 stickers, there were only 100 boxes sold (100 boxes * 30 packs * 8 cards = 24,000 total cards) They were distributed in booster boxes of 30 booster packs which contained 8 random cards, mostly to stores in Pennsylvania, New Jersey, Michigan, and Delaware. 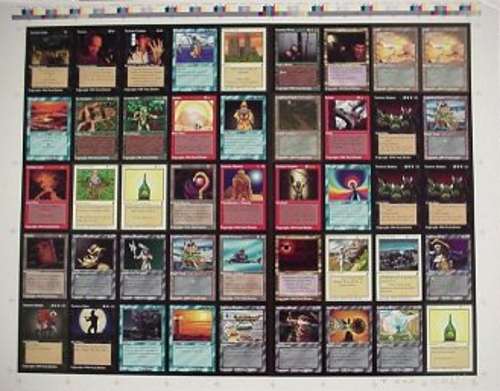 The stickers are 1 mm wider and 1 mm taller than a regular Magic card and were printed on "Kanzaki Primeline Permanent" adhesive sheets in a nine-by-five layout. The stickers were printed on two sheets: an uncommon sheet and a common sheet, each holding 45 images. 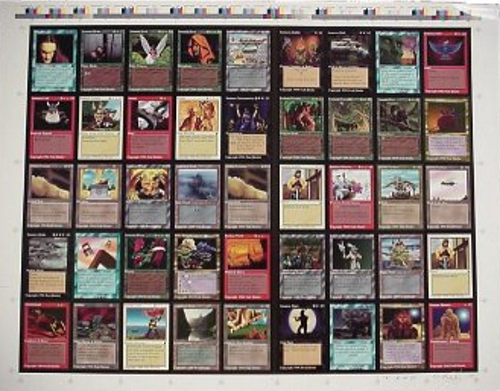 Additionally, some cards appeared more than once which allowed a variety of rarities, with "U1" (a card printed once on the uncommon sheet) being the rarest and "C3" (a card printed three times on the common sheet) being the most common. Two cards, the Rukh and Wasp of the Hive, were not distributed in boosters. 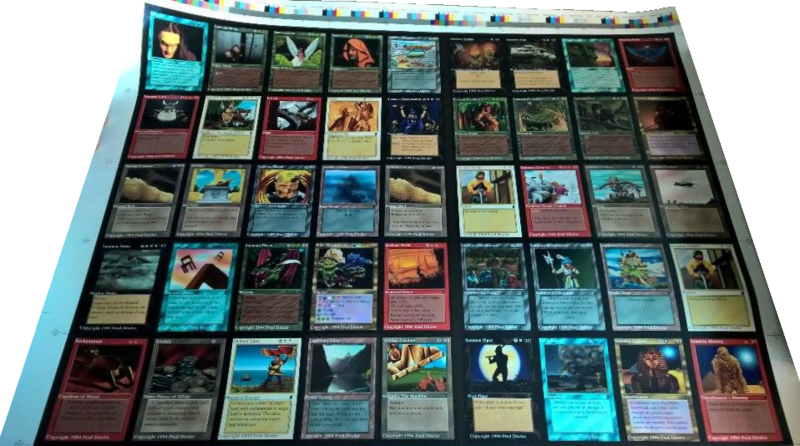 They could be obtained by sending five Middle Ages booster wrappings plus $4 US to Marauder Graphics per card. 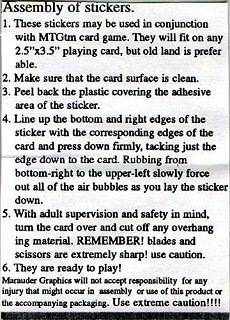 Part of each booster pack were also three sheets with additional rules text, instructions on how to apply the stickers, and general information about the set. Booster were sold $2.50 for eight stickers. 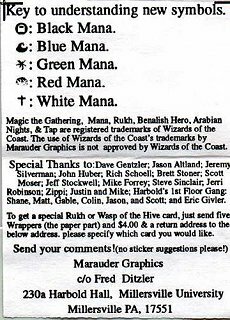 Despite altered mana symbols and an alternate card layout, Middle Ages infringed copyrights and Wizards of the Coast issued a cease and desist order shortly after the set was released. 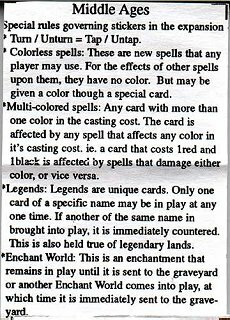 Information about the set was mentioned in a Scrye magazine issue from early 1995. 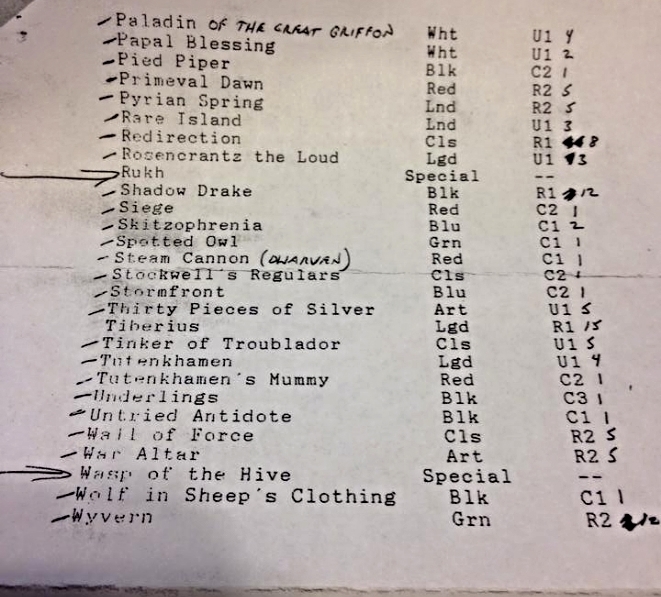 Original sheets sent by Fred "Rich" Ditzler when purchasing the boxes in 1994.